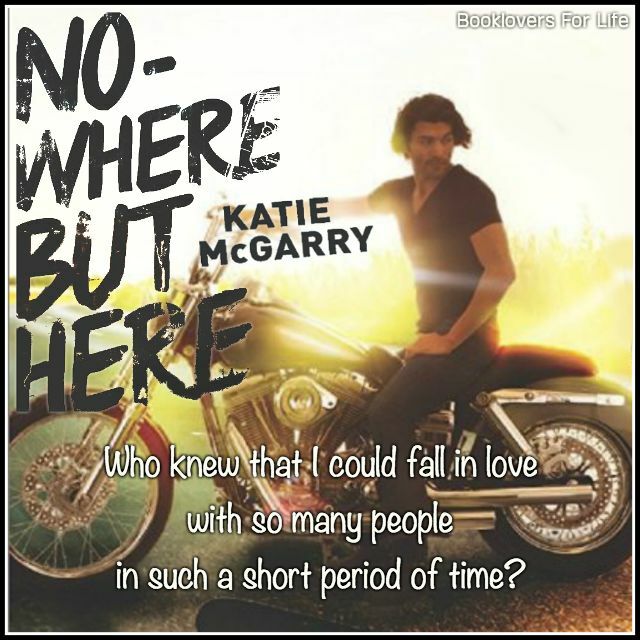 I absolutely LOVE Katie McGarry and her Pushing the Limits series – she writes YA contemporary romance like no other (plus, her bad boys are oh so wonderful), so of course I had to get my hands on Nowhere But Here, the first book in her new series! And can I just tell you how much I squealed when I heard the new series would be about MCs!? I’m a big fan of MCs and I was definitely looking forward to Katie McGarry’s take on them. While I may not have loved Nowhere But Here as much as her Pushing the Limits series, it’s definitely an absorbing, fast-paced, intriguing read. It’s darker and edgier than her previous books, which I liked. I didn’t connect with the characters as much as I wanted to, but I was hooked onto the storyline. Emily is a seventeen-year-old girl who likes her life as it is – simple and uncomplicated. She lives a good life with her mom and adopted father, but an email from her biological father turns her world upside down. 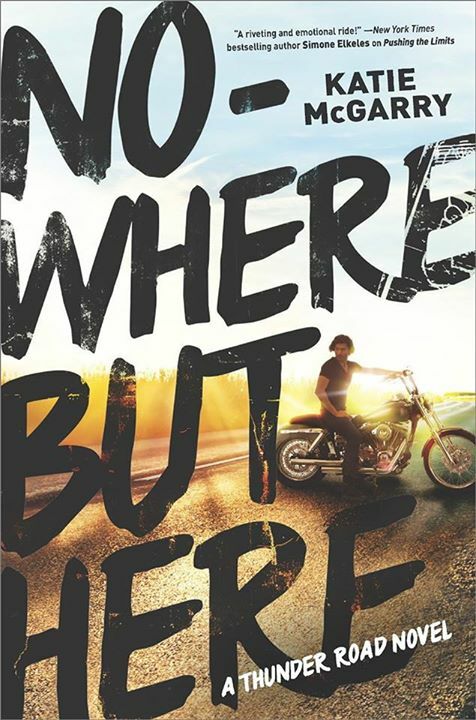 She now has to confront her biological father’s motorcycle club and discover the secrets of her parents’ past, which may not be true to what she was told. The club is a brotherhood, a family. It means belonging to something bigger than yourself. Eli, Emily’s father, is one of the leaders of the Reign of Terror MC. Emily has always had a negative view of the Reign of Terror based on what her mother’s told her, but while spending time with the MC, she discovers that it’s not as thug-like and dangerous as she thought. At its heart, the Reign of Terror is a family, and Oz, one of the MC’s prospects, goes a long way in teaching her that. However, even though the club isn’t doing anything bad or illegal, other MCs do, and the Reign of Terror will do whatever it takes to protect their own, which includes Emily. Oz is tasked by Eli to protect Emily, and they have less-than-stellar first impressions of one another. They don’t think highly of each other, but circumstances bring them together and they slowly chip away at each other’s defenses and get to know one another better. I was a bit disappointed that I couldn’t connect with either Oz or Emily – I liked them well enough, but I didn’t grow to love their characters. That being said, I really enjoyed the way their romance developed. It’s the slow and steady kind of love, and I liked that it grew genuinely. I could tell how much effort and thought Katie McGarry put in writing this novel. It’s fast-paced, and yet there are so many intricate parts to the plot that it could have been confusing at times, but impressively wasn’t. My favorite part of the book was Emily and Oz’s character development and how they were able to open their hearts and minds to each other. And I really enjoyed how much the Reign of Terror grew to care for Emily and vice versa. Who knew that I could fall in love with so many people in such a short period of time? Nowhere But Here is a promising start to the Thunder Road series. It’s told in both Emily and Oz’s POVs, and I liked getting to know them and their story. I didn’t quite love it as much I wanted to, but that certainly doesn’t mean I didn’t enjoyed it – it was still an addicting read that had me finishing in one sitting. I’m very much looking forward to the next book, Razor’s story!